Honda WR-V is picking up on sales in India. After overtaking Honda City in terms of sales last month, the WR-V has now breached the 5,000 mark. Hona has sold 5,200 copies of the WR-V last month showing signs that the car is becoming stronger in the market. The WR-V looks quite substantial on the road. 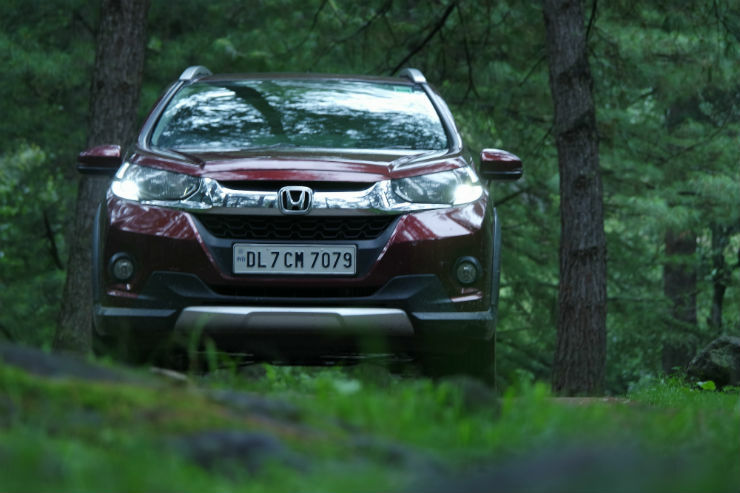 Honda has given a rugged look to the WR-V and has given it different characteristics altogether. The WR-V gets body cladding all around. The bumper and the face of the vehicle has been updated too. The WR-V sure gets a lot of looks on the road. Honda also packs the WR-V with a lot of features. The WR-V also gets a high ground clearance of 188mm. The vehicle gets diamond cut alloy wheels and LED Daytime Running Lamps, which gives it a unique identity. To start with, the WR-V gets the segment first and only sunroof. The infotainment is also packed with features. There is no Android Auto or Apple CarPlay but the system comes with its own set of apps, WiFi, Navigation and it can also play videos through HDMI cable. The system has an internal memory of 1.5 GB, which can be used to store music and other media files. The WR-V is available with both petrol and diesel engine options. The diesel engine is the same 1.5-litre Earth Dreams i-DTEC unit that generates a maximum power of 100 Bhp. It returns a maximum fuel efficiency of 25.5 km/l as certified by ARAI. The petrol engine is a 1.2-litre i-VTEC engine that develops a maximum power of 89 Bhp. The petrol engine returns a maximum of 17.5 km/l. The WR-V gets a 5-speed transmission with the petrol model and a 6-speed transmission with the diesel model. There is no automatic option as of now. WR-V will face stiff competition from upcoming vehicles like the Tata Nexon and the refreshed Ford EcoSport in the market. Both the vehicles are scheduled to be launched this year.